Cullen's murderous career in the world's most trusted profession spanned 16 years and nine hospitals across New Jersey and Pennsylvania. When, in March of 2006, Charles Cullen was marched from his final sentencing in an Allentown, Pennsylvania, courthouse into a waiting police van, it seemed certain that the chilling secrets of his life, career, and capture would disappear with him. Now, in a riveting piece of investigative journalism nearly 10 years in the making, journalist Charles Graeber presents the whole story for the first time. Based on hundreds of pages of previously unseen police records, interviews, wire-tap recordings and videotapes, as well as exclusive jailhouse conversations with Cullen himself and the confidential informant who helped bring him down, The Good Nurse weaves an urgent, terrifying tale of murder, friendship, and betrayal. I have read or listened to dozens of true crime books written by authors who are considered to be the masters of the genre. And almost none of them can hold a candle to The Good Nurse for sheer entertainment value. As an aging attorney who started out in the District Attorney's office nearly 40 years ago, I am usually irritated to some degree by the non-nuanced manner that the criminal justice system is treated in books, TV shows, movies, etc. But Graeber hits the nail right on the head in The Good Nurse. And he does it all without pandering to the perpetrator, the families of the victims, or the cops who eventually solve the case--a claim that in my opinion can be made by only one other true crime author (Vincent Bugliosi). If there is any justice in the world, The Good Nurse will become a classic like Helter Skelter. 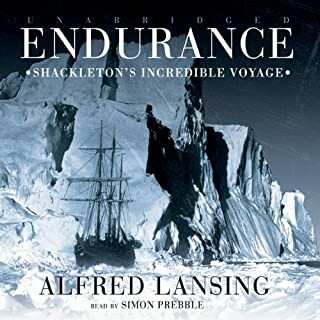 And when I finished listening, I couldn't remember anything specific about the narration, which is exactly what I want--a narrator who delivers the goods and gets out of the way. Excellent job by Will Collyer. Looking forward to more books by Charles Graeber. Read great reviews on this one, so settled in to hear details about purposeful selection and murder of patients. What I discovered much to my delight and horror was the opposite. Charles Graeber writes from the perspective of a floating, non-judgmental narrator taking you through the events. I (and probably most of us) wanted to believe there was a reason he killed so many people. Was it for mercy or prejudice or hatred or a childhood traumatic event. When the answer is no, the story becomes creepier. My advice is not to read too much detail from the summary and especially other reviews giving you play-by-play analysis. There is no gore, the shock factor is a slow build. Listen and let the story unfold walking you through the hospital, a place of trust with administrators, nurses, and the mystery of medicine. Was this the perfect storm for a serial killer? You decide. What made the experience of listening to The Good Nurse the most enjoyable? 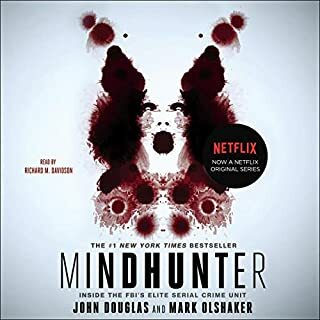 Graeber's chilling account of Charles Cullen was propelled and made lively by Will Collyer's brisk and engaging narration. 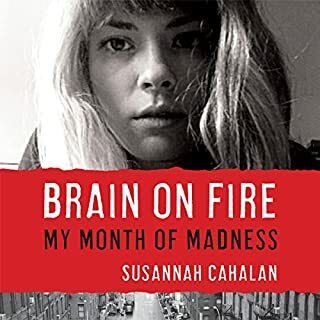 The crimes of Charles Cullen were disturbing on their own, of course, but what made this book so frightening was the discussion of how the hospitals that employed Cullen simply kept passing him along. There was more than one occasion where Cullen was caught, almost in the act, of stealing dangerous medications suspected of being used to harm patients, and hospital administrators would allow him to quietly resign with neutral job references, just so there would be no mark of shame against the hospital. Which character – as performed by Will Collyer – was your favorite? This was some of the best voice work I have ever heard. Collyer adopts different voice affectations for the dialogue-- subtly, nothing too over the top-- that allow the listener to keep track of who is talking in fast exchanges. Will this EVER get going? Would you try another book from Charles Graeber and/or Will Collyer? I am pretty picky about what I fill my head with. I tend not to purchase books by impulse but I heard about this one on a podcast and I saw the excellent reviews. I actually listened to it twice before posting a review as I was sure that I was missing 'something'. Maybe it was because I was a Nurse Practitioner I was being hypercritical but I don't think so. I think that I found the pace really slow. I normally find myself lost in performances but this time I had to keep re- listening. Just not my 'cup of tea' I suppose! What about Will Collyer’s performance did you like? Excellent performance with a plethora of voice inflection. Will definitely listen to more of this actor's performances in the future. Well written but personally felt far too 'two dimensional' for me. I could not get that wonderful feeling of being 'lost' in the story. Would you listen to The Good Nurse again? Why? I think I could listen again. Very intriguing book. I don't know if I was on the edge of my seat, but wow this book pulled me in and kept me the whole time. What does Will Collyer bring to the story that you wouldn’t experience if you just read the book? I know it may just be me, but I love a crime novel and add medical to it and I'm in heaven. This book was very interesting. You could tell that a ton of research went into it . I can't believe this was the first time I heard of this case. Great story. 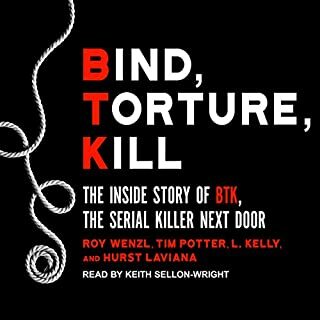 If you like medical true crime this is a book for you. This is a chilling account of how one nurse, Charlie Cullen, was able to get away with killing hundreds of patients while the medical system failed to do anything about it. If not for the bravery of some hospital staff who risked their jobs to get the information to authorities, this nurse would likely still be working the night shift today, and killing when the mood would strike. Written in the style of In Cold Blood, the author lays out the details of Charlie Cullen's life. He was a very sad, lonely, and troubled person who had a horrific childhood. He attempted suicide many times, starting young in life. Eventually joining the Navy to escape his home life, he then went to nursing school. Upon graduating, it was easy to get jobs where he usually requested to work the night shifts. He started killing, not as any sympathetic reason for patient's who were suffering, but more to make himself feel better and relieve stress. As time went by, and it was so easy to inject IV bags with drugs such as insulin, or heart medication, he just kept doing it. At times he would simply inject several IV bags at one time, not knowing or caring which patient would be on the fatal end of his actions. He learned to "fit in" at the many different hospitals where he worked by being helpful and always available to take extra shifts. Over approximately 16 years and nine different hospitals, deaths occurred during his shifts far above what was normal. Although he was suspected of causing the deaths, after a few attempts at investigating with failed results, he was either forced to quit, or just "let go" and usually given neutral references to get rid of him. It turns out, the hospitals did not want to lose their good standing (to say nothing of the lawsuits that would ensue), and so just passed the problem on to the next one. Each hospital in turn, did the very same thing. The two detectives who eventually investigated and brought justice to the families who lost loved ones, should be rewarded, along with the one hospital employee who risked her job to do the right thing. Very well written, this true story kept me listening for hours at a time. 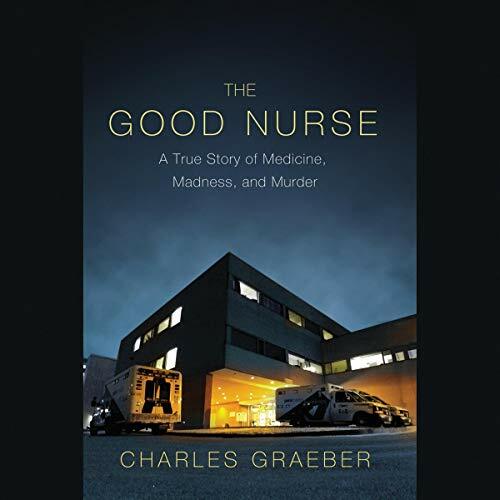 Although some of the details were difficult to hear, I think it is an important book, and everyone should be aware of what can happen in places we think of as safe-- where we all go for help and healing--hospitals! Enjoyed this story. Well written, and certainly well researched. Well narrated as well.Difficult to grasp how someone can go down this path. Nurse Charlie Cullen filled a cemetery! This is the most disturbing book I have read in years...since Coma. This is a true crime story and I barely got thru the first couple of chapters because of the graphic details of a burn ward. After finishing this book, I kept wondering about how many other nurses, aids and doctors are out there killing patients and when caught or suspected, receive walking papers with a good or neutral recommendation for their next job. Charlie Cullen obsessed with killing himself with attention seeking suicide attempts found a way to satisfy his driving need for self harm by proxy. 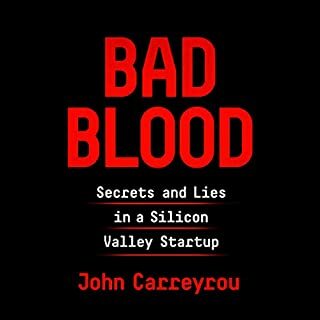 He killed patients with a roulette type system of infusing glucose bags with deadly doses of insulin. He also directly injected patients with a drug that makes the heart stop...for good. New Jersey Poison Control Center detectives are the people that cared enough to go after this man and stop him permanently. It is estimated that Charlie killed around 400 people (conservative number) during his career. Hospital administrators and their attorneys are responsible for Charlie's 16 year long career of killing people. He should have been stopped YEARS ago! I can't help but be cynical and paranoid when walking into a hospital now.